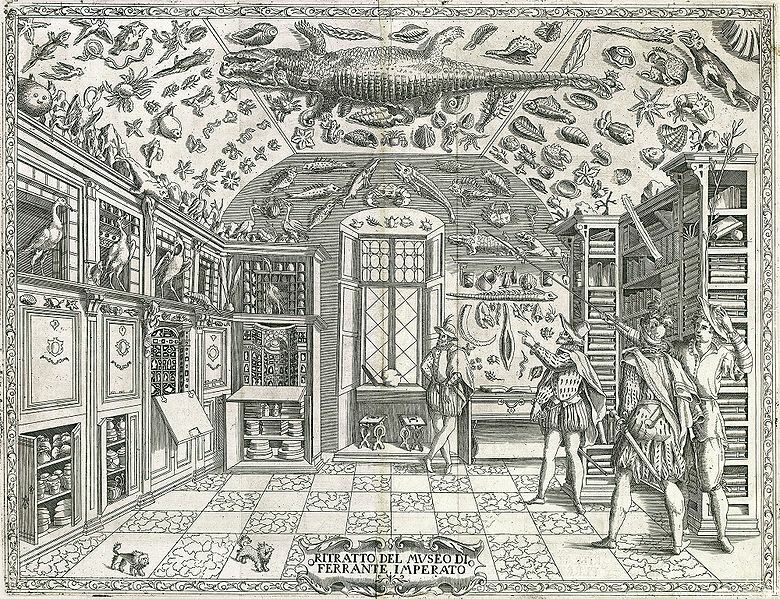 The earliest pictorial record of a natural history cabinet is at Wikipedia. 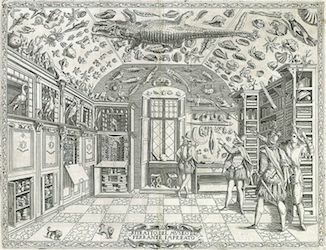 Search Ferrante Imperato, a 16th C. Neapolitan apothecary whose cabinet is crowned by a stuffed crocodile suspended from its vaulted ceiling. Stuffed crocodiles aside, who among us has not dropped to their knees in a meadow or on a mountain, to cup a dead butterfly, a bird’s egg intact, the husk of a creature long dead? The picture is above and the article about Imperato is here: http://en.wikipedia.org/wiki/Ferrante_Imperato. Want to know more? Check out www.cabinetmagazine.org/issues/20/olalquiaga.php and www.cabinet-of-wonders.blogspot.com/2008/01/wunderkammern-vs-cabinets-of-curiosity.html. And so, the Virtual Gardener wonders - might we create a Cabinet of Wonders? The display case near the Haggerty Education Center’s Lobby would be a fine location. The Virtual Gardener herself has something to contribute to this effort: A seed from the Bodhi Tree, Ficus religiousa, which has been split and its interior carved with a Buddha. Do you have something rare and unusual from your travels abroad or your backyard sojourns? A strange stone, the feather of an unknown bird, richly carved sea glass, bone or wood? Might you be willing to loan it to us for this display?